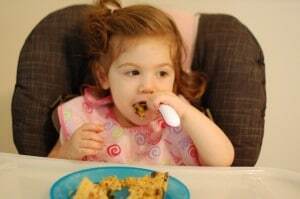 Jazz up your kids’ Mexican favorite with these Sweet Potato Black Bean Quesadillas. They’re a healthy and delicious recipe the whole family will love. This recipe was originally posted as part of a recipe contest sponsored by the California Sweetpotato Council. I received free samples of California sweetpotatoes mentioned in this post, but I was not compensated for my time. In case you missed my previous post, it’s sweetpotato season and no, I didn’t misspell that. California sweetpotatoes are now being known as one word to emphasize that they are not the “sweet potato” you are used to. California sweetpotatoes are grown in soft sand and are hand sorted during harvest to minimize scarring and scratching. End result: a visually higher quality, more attractive sweetpotato. 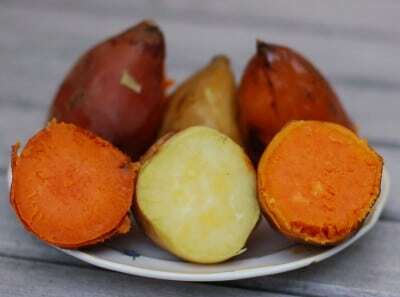 Sweetpotatoes are also not white potatoes and yams, the latter of which are imported from the Caribbean and are starchier than sweetpotatoes. Nutritionally, one medium cooked California sweetpotato contains 105 calories, 2 grams of protein, 4 grams of fiber, and is a good source of vitamins C and A. So that’s the California sweetpotato story. Now, what do you do with them? Well, you could make my Kale & Sweetpotato Lentil Salad or one of the many sweetpotato recipes my fellow ReDuxers have posted (links below). 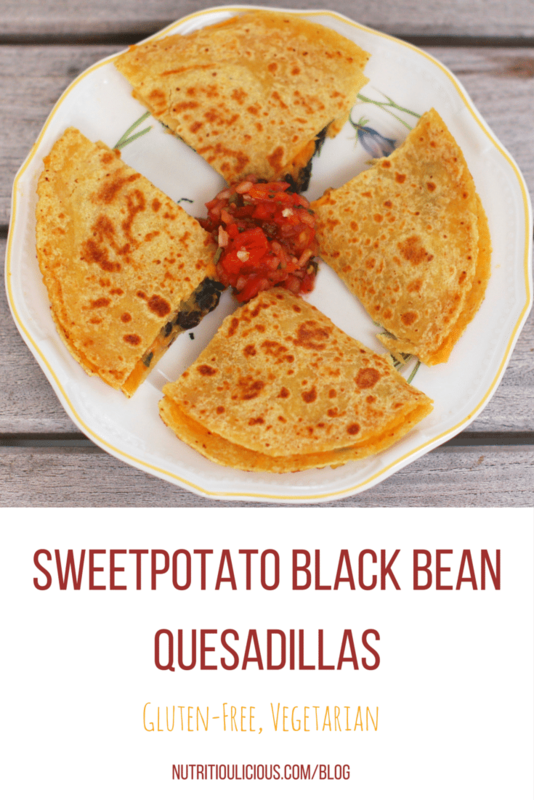 Or, you could take sweetpotatoes for a Mexican spin and make these nutritious and delicious Sweet Potato Black Bean Quesadillas! 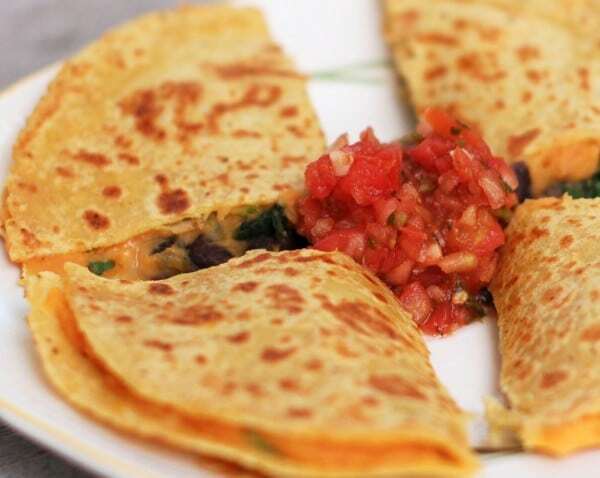 Creamy sweet potato puree and garlicky black beans and spinach make a sweet and savory filling for gluten-free, vegetarian quesadillas. Top with salsa and guacamole for a fun Mexican night dinner! Preheat oven to 400 degree F. Wrap sweet potatoes individually in aluminum foil. Bake for about 1 hour, until sweet potatoes are very soft and skin peels off easily. Once cool enough to handle, puree sweet potatoes using a food processor or hand immersion blender. 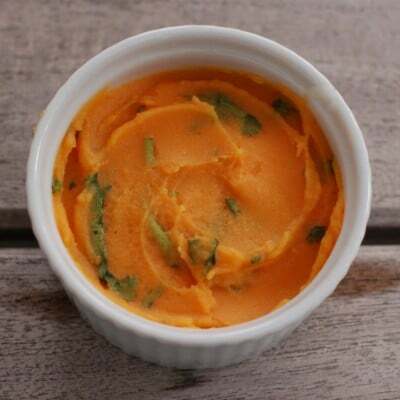 Once sweet potato puree is smooth, use a spoon to mix in cilantro, lime juice, 1/8 teaspoon salt, cumin, and pepper. Set aside. In a medium skillet, heat 1 tablespoon olive oil over medium-high. Add garlic and saute for 30 seconds. Add spinach and saute until wilted. Add the beans, chile powder, remaining 1/8 teaspoon salt, and a few grinds of black pepper and stir to toss. Remove from heat and transfer to mixing bowl. Wipe the skillet with a paper towel, coat with nonstick cooking spray, and place on stove over medium-low heat. Spread about 1/4 cup sweet potato mixture on 1 corn tortilla. Place in skillet, top with about 2 tablespoons of the black bean-spinach mixture and 1 tablespoon cheese. Cover with another tortilla and press down with spatula. Cook for 2 minutes, flip, and cook another 2 minutes until cheese is melted and tortilla starts to crisp. Repeat with the remaining tortillas; serve with salsa and guacamole if desired. 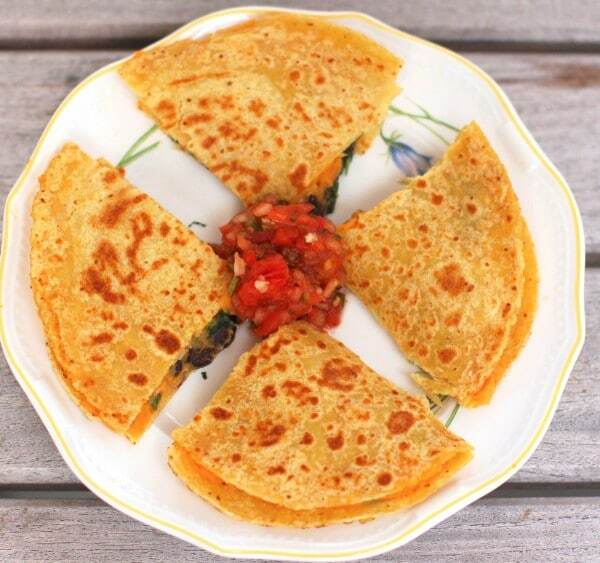 For a complete meal, serve quesadillas with a side salad, like this Spinach Salad. Love seeing your little ones enjoying this! I almost made this exact recipe but I like how you pureed the sweetpotatoes – perfect for quesadilla stuffing! Thanks Deanna! The girls absolutely loved them – couldn’t get enough! The sweetpotatoes pureed were so creamy and rich! Wow! These seem so simple. I love that you just popped the sweetpotatoes in the oven and baked them. I am sure my family would love this recipe too. Thanks Katie! They really are quite easy, and sooo delicious! What adorable girls! And the look like they are loving these! I’m sure my kids will too. I just have a few sweetpotatoes left..but this would be an easy dinner! Thanks Serena! Let me know how your kids like them! You’ve got me craving quesadillas now! haha…thanks Rebecca! I hadn’t made them in so long and was reminded how good they are! I never knew there was another sweet potato called the sweetpotato! That’s so funny. I’ll be sure to check it out the next time I’m in California! These quesadillas sound delish- no longer sweet potato season where I am (or I might be wrong) but would love to try these! Thanks Genevieve! I hadn’t known either! Truth is it’s hard to know where the sweet potatoes/sweetpotatoes actually come from in the supermarket! Hope you get to try the quesadillas! How many ounces sweet potato are used in this recipe? The sweet potatoes on the East Coast are sometimes close to 1-1/2 pounds! Thanks Brenda! It’s definitely a favorite still to this day with my girls. That’s a great question and I’m remiss for not giving a weight for the potatoes since they really do vary a bit. A medium sweet potato is usually between 5-6 ounces. But I will update this recipe with exact measurements the next time I make it. The great thing is that if you make too much of the sweet potato puree, you can freeze it for another time!